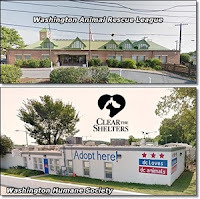 Washington, DC – On Saturday, July 23rd, I had the pleasure of covering the Washington Humane Society-Washington Animal Rescue League’s ‘Clear the Shelters’ event for my blog, The Pet Tree House. When I arrived at the center on Olglethrope Street, NW, the event had already started. The first thing I noticed was a long line of people waiting patiently in 98% heat. As I entered the shelter, There were people everywhere. The atmosphere was really nice, children pointing out animals to their parents, staff showing animals, and adopters filling out paperwork. I decided to first get pictures of some of the animals in their cages before they were adopted. I noticed that there was not a lot of barking. I can’t help but wonder if they knew what was going on and were on good behavior. Most of the cats\kittens were laid back sleeping, except for these two adorable kittens who put on a show for me. They were eventually adopted. I noticed the NBC4 Washington table/tent and went over and spoke to them. They were busy taking videos, pictures and interviewing people. They were really nice people, and very professional. As I walked around taking pictures and talking with people, I walked towards a family in the hallway and noticed that the dog was propped up on the cage, nothing unusual about that, they all do it. As I started to pass them, I looked down and saw a little girl rubbing, patting and talking to the dog. I usually ask if I can take a picture but decided not too for fear that it would draw her attention away from what she was doing…and besides the dog loved it! I felt there was a connection there. Later I was outside taking pictures of people leaving with their new pets. I looked up from taking this one picture and realized that it was the little girl’s family, and yes, they adopted the dog. It was hot outside, and I had just entered the building when this same lady came up to me with the dog on a leash and paperwork in her hand. She had the biggest smile and said, “I got her.” I congratulated her, and then she asked if there was a back door for her to go out of. I asked her why and she told me again, that she did not want the news people to take her picture or put her on television. I had her wait inside and I went outside and expressed her wishes to the news media, and of course, they complied. I watched her as she walked away with her new pet. It looked like they had been together for years. The dog was not pulling or jumping, and walked right beside her. I later noticed a couple with a big dog sitting on the floor. The dog was so happy, he was jumping all over the place. He was definitely excited about going to his new home. I stopped to speak with them and found out that they had arrived at the shelter around 11:00 p.m. the night before. They wanted to be first in line. Unfortunately, I did not get names of the adopters or the animals as they left. They were coming out of the building so fast. He even said goodbye to one of NBC4's crew members! I also met two people who adopted senior cats. I love it when senior animals are given a second chance to live out the rest of their lives in a loving home. I left around 2:30 p.m., and headed down to the other center located on New York Avenue. 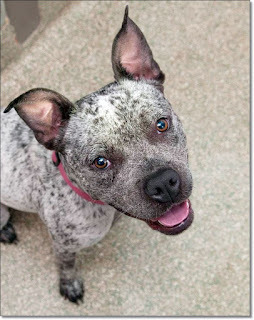 I entered the shelter to find out that most of the animals had been adopted earlier in the day. I did however, get to see two dogs and a cat leaving for their forever homes. At the end of the event, the shelter was cleared and a total of 170 animals were adopted including 68 dogs, 97 cats and 5 small animals. 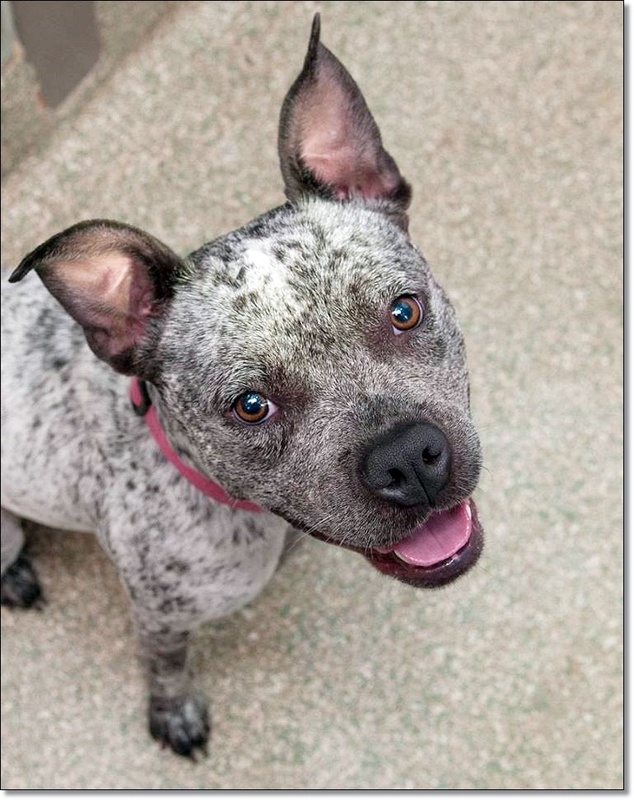 While this years ‘Clear the Shelters” event is over, please don’t let that stop you from adopting. Yes, the shelters are clear for now, but they will fill up again. If you are looking to add a new furry family member, please don’t buy one. Consider visiting your local animal shelter and save two lives. When you adopt and animal, you leave a space for another animal to enter the shelter. On Wednesday, February 10, 2016, the Washington Humane Society (WHS) and the Signing of agreement Washington Animal Rescue League (WARL) announced a definitive agreement to merge the two organizations to create the first end-to-end animal care organization in a major U.S. city. To read more on the merger, click HERE. I had an enjoyable day and got home only to find out that my little rescue, Jonas, wanted nothing to do with me…for a while. Thank you Washington Humane Society-Washington Animal Rescue League for inviting The Pet Tree House.